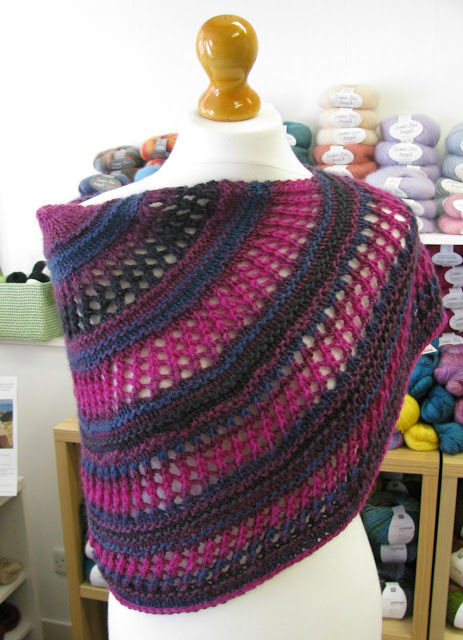 Knitted in our new Louisa Harding Amitola Grande it feels AMAZING. And takes only 1 ball. 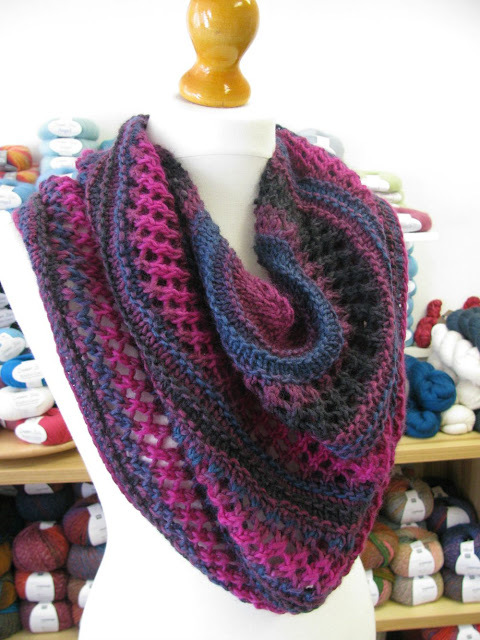 The pattern has two sizes and we've knitted the large one. 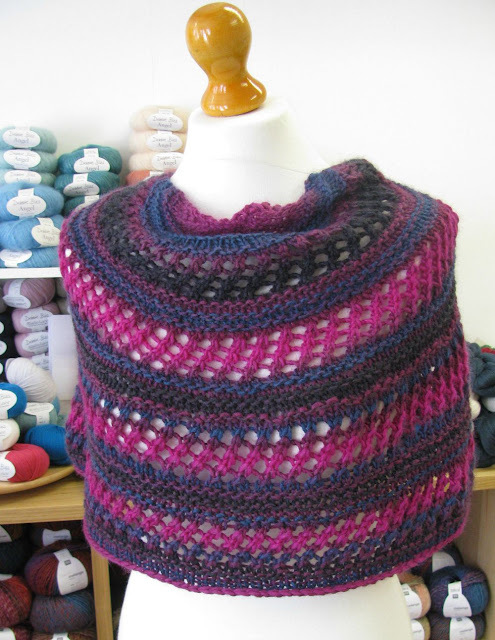 It starts like a top down shawl - you knit back and forth - then you join to knit in the round. It's a fun and very quick knit (easy to do in a day) and has enough going on to be interesting but not so much you have to sit in silence and count! With the Amitola Grande we would recommend you start swatching with a 6 or 6.5mm needle. 5 shades of Amitola Grande available in the shop, see more here. *Just a wee reminder that many designers have made their patterns available through Ravelry's in store pattern sales. That means that you can buy a pattern in our shop and it will be emailed to you as a pdf which you can print out or use as a digital copy. You don't need to have a Ravelry account but if you do (and you remember your username) it will also be stored there too. Ask for details in our shop!